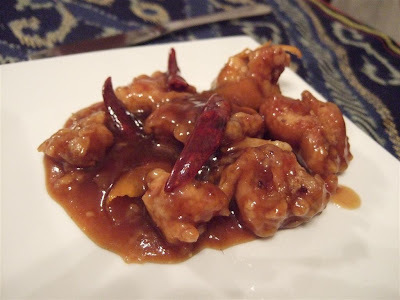 Always hidden behind the scenes in the history of Chinese cuisine, Orange chicken has rarely seen the light in restaurants unlike the popular Lemon Chicken. 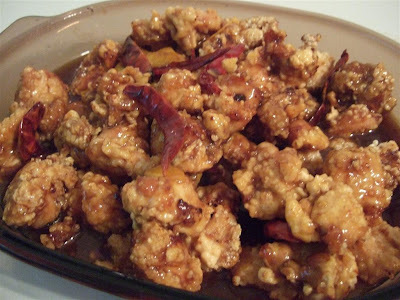 This post, we bring the Orange chicken to the spotlight! Eight to ten strips of Orange zest. Use a peeler and peel slowly, make sure you don't peel too deep and get the bitter white part. 8 pieces dried whole chilies, can buy from Hua Ho, I used the Indian type, not too spicy. They are mostly for decorative purposes but still add a hint of spicy flavour. 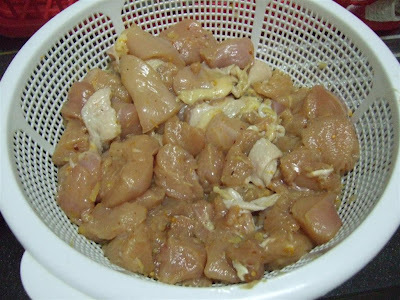 2) Pour half the marinade into a mixing bowl with your chicken, mix well, refrigerate for 30 minutes. Do not marinade longer than 45 minutes. 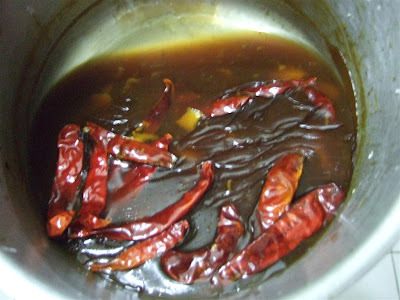 3) While waiting, make the sauce. Pour the remaining marinade into a saucepan (pot) and heat it up to a simmer. 4) On a small bowl, mix 1 and half tablespoons of corn starch and add some liquid, about 2 tablespoons of water and mix well together into a slurry using your hand or chopsticks. 5) Add the slurry to the simmering mixture and cook till it's nice and glossy thickness. Then remove from heat. 6) Add in your peeled orange zest and your whole dried chilies and stir. Set aside. 8) To coat, beat 3 egg whites till nice and frothy. 9) On another plate, combine 1 cup of corn starch with 1/2 teaspoon of baking soda. Add pinch of salt and pepper for seasoning. For me, I add some chili powder here as well. I love spicy food. 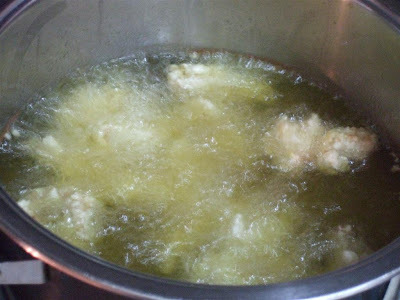 10) Dip your chicken on the egg whites, then dip on corn starch, then drop your chicken on to a hot deep frying oil at 350 farenheit or 180 celcius. Deep fry in batches. 11) Before adding and tossing the chicken with the sauce, heat up the sauce first. 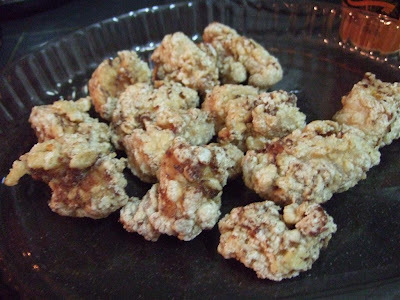 12) Serve with steamed rice. Enjoy! Plate it nicely and show the dried whole chilies and peel. Hmm.. the aroma and texture! YUMMY!